← Play is hard work !!! 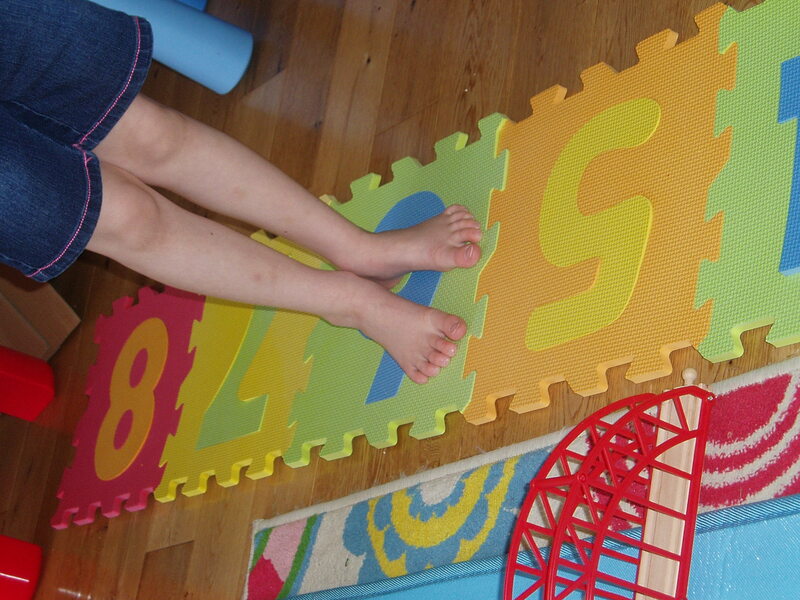 We have been using number lines quite a bit when we do addition and subtraction so I was trying to think of a fun activity to do around that and I came up blank, until Blue asked if he could jump on the hopscotch mat again. YIPHEE !!!! 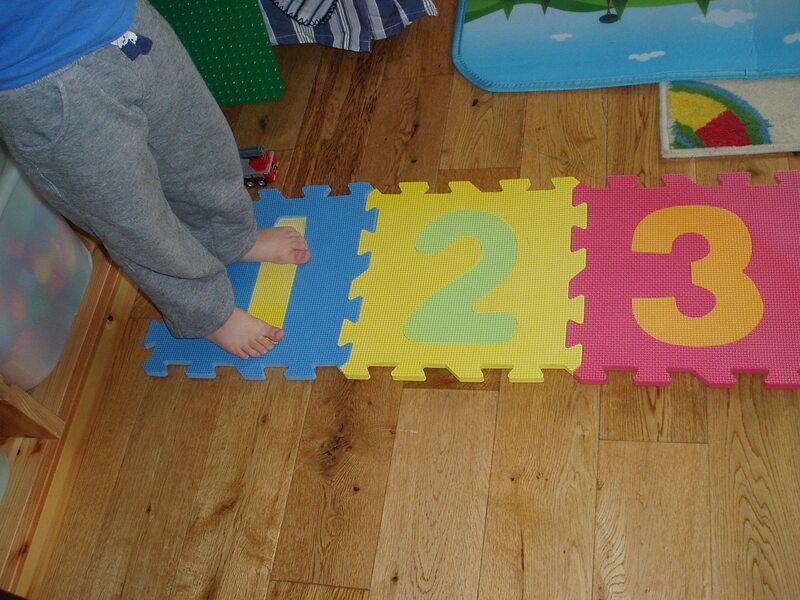 We put the foam numbers out in a line and Blue started hoping on the numbers and shouting out the names. While Blue was busy with this I quickly wrote a few sums out for Pink and suggested that she come and use the giant number line to work out the answer. As she read the sum out she would go and stand on the first number eg 6+2 = then she would stand on 6, I would then ask is she going to get bigger (adding) or smaller (subtracting) and she would answer and then hop in the correct direction eg 2 hops for plus 2. She thought this was great and quickly finished all the sums and wrote out the answers for me. The fact that she could jump on the foam mats while we where doing the sums turned boring Maths into a great fun activity. We will be doing this again !!!! 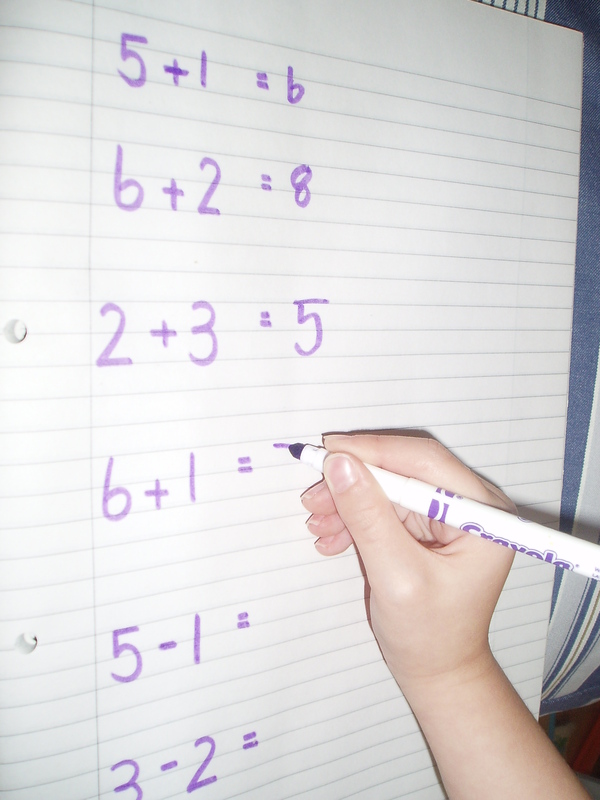 This entry was posted in Homeschooling, ks1 maths and tagged home ed, homeschooling, ks1 maths, number line sums. Bookmark the permalink.